The Junior Caring Cutlery is a range of knife, fork and spoon similar in concept to the Caring Cutlery range, but smaller in size, and designed specifically for children. 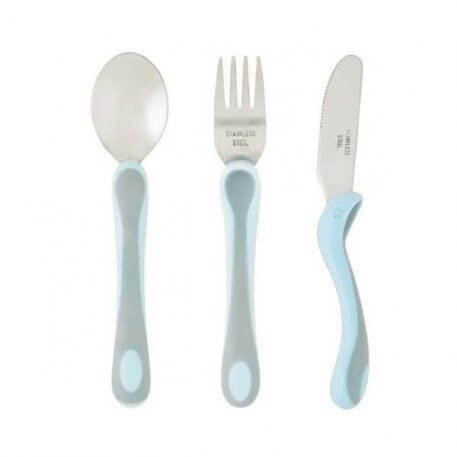 The stainless steel utensils are moulded into sky blue plastic handles with built up ends. Designed primarily for children, this cutlery with its built up handles, is easy to use, easy to clean and dishwasher safe.